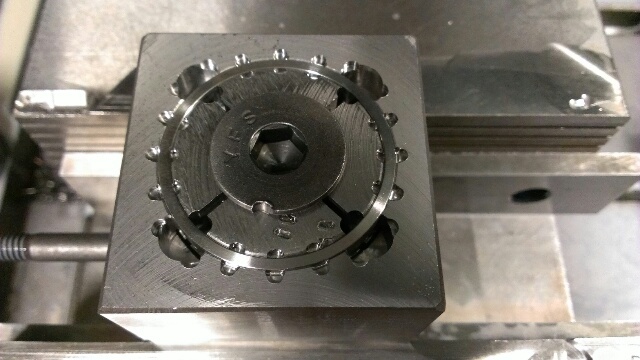 Being a CNC Machinist/Programmer is sometimes more than simply creating a program and machining the actual part, often times it is about creating efficient and accurate fixturing. I had to machine rectangular cut-outs and drill holes through an already-turned steel ring. Then I had to part each ring to 4 equal pieces. There were about 100 such rings that worked out to 400 pieces in total. 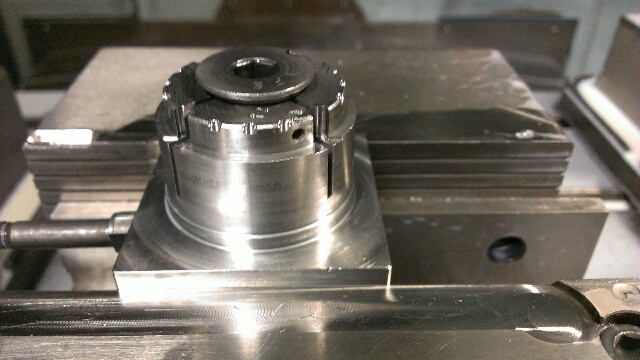 After drilling holes on an indexer I had to machine a fixture to hold my part through 2 remaining set-ups. 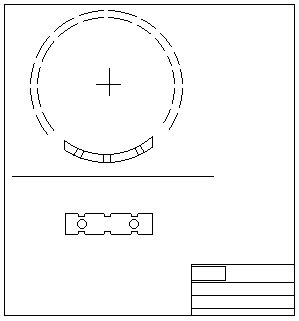 The mounted part already has cut-outs machined in the first op on the same fixture. Then the screw is tightened even more until I can no longer turn the top half of the fixture by hand. Both the lower and the upper halves are machined to slide-fit to the work-piece, so that when the mandrel expands it clamps the work-piece against the upper half. By the marks on the fixture you can see where machining was taking place. 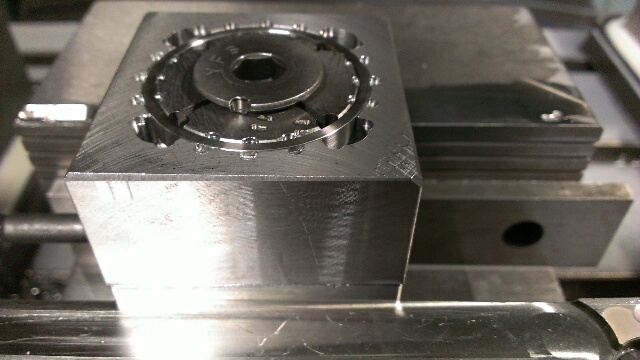 And yes, I accidentally machined my fixture by crashing a small end mill into it - MasterCAM did some weird stuff with rotating my toolpaths and messed up the g-code. Unfortunately I forgot to snap a picture of the finished part. But I think it is clear from the sketch how it should have looked. 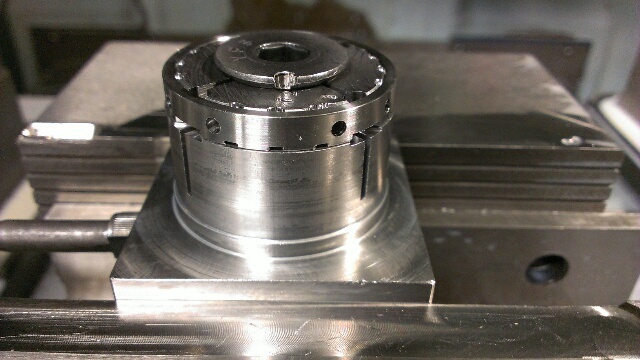 This is one of those cases when coming up with a fixture takes more time and effort than programming and machining the part itself.